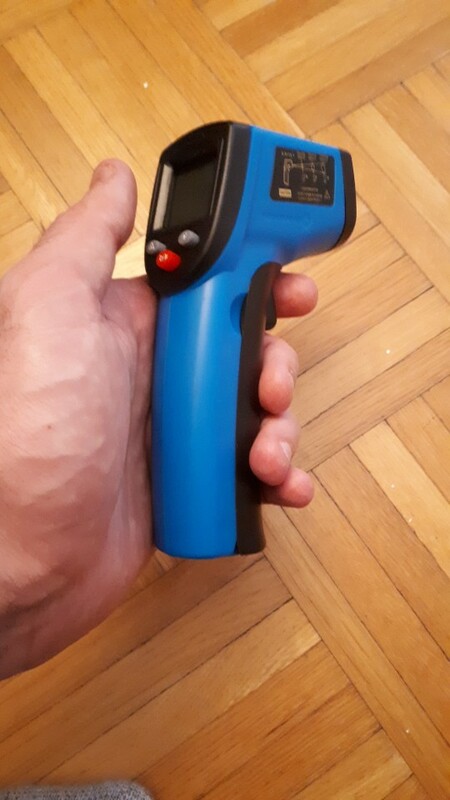 Infrared Thermometer - Temperature Gun – Somehow Summer LTD. Perfect for saute’ pans, grills, pizza ovens and stones, Himalayan salt blocks, smokers, deep fryers, refrigerators and freezers. Check heating and AC vent and water heater and pipe temperatures. Scan walls and crawl spaces for insulation leaks that can be costing you big $$ on heating and cooling. Great for auto diagnostics, too: check cooling systems, catalytic converters, brakes, and tires. You can even use it to identify and diagnose a misfiring piston! While you make your soaps and candles or other high intensity craft work! With the Scan Lock Hands Free Mode you can use it to track temperatures while you do other things – set your audible alarms to notify you when temperatures are reached! 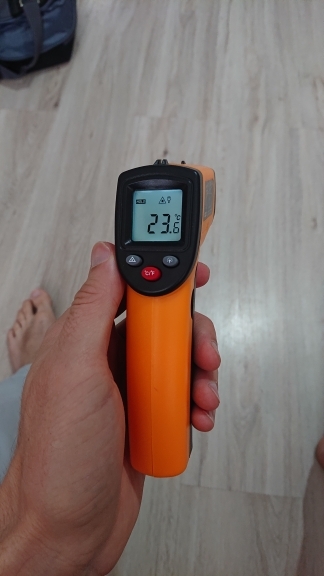 From pizza stones and baking surfaces to insulated walls and ceilings, duct work, newly poured cement, or painting surfaces, the Scan mode lets you get instant accurate readings making hot and cool spots easy to locate. 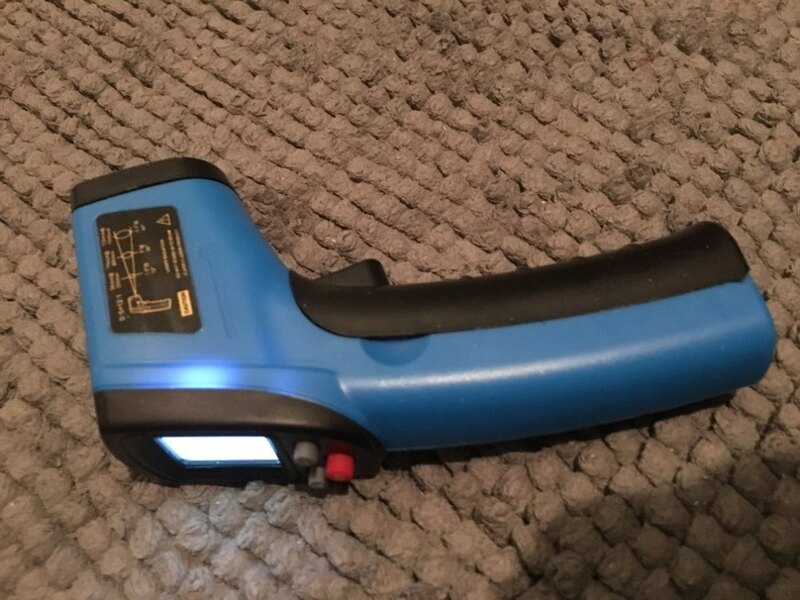 You can take spot readings of everything from walk in freezers to reptile enclosures or outside gardens and greenhouse beds, chicken coops, hot houses or anywhere else you need to get fast accurate readings. The measures temperatures in the range of -58°F to 1202°F (-50°C to 650°C) with an accuracy of ± (1% of reading + 1°C/2°F) or ± 2°C/3.5°F, whichever is greater. Readings are taken instantly, in about half a second. You can take single readings, or continuously scan surfaces. Two lasers make targeting more precise than a single laser. The optimum target distance is 8 inches at which the two laser dots converge, but you can easily measure objects at distances of several feet. At larger distances, the area of measurement is roughly a circle inside the two laser dots. 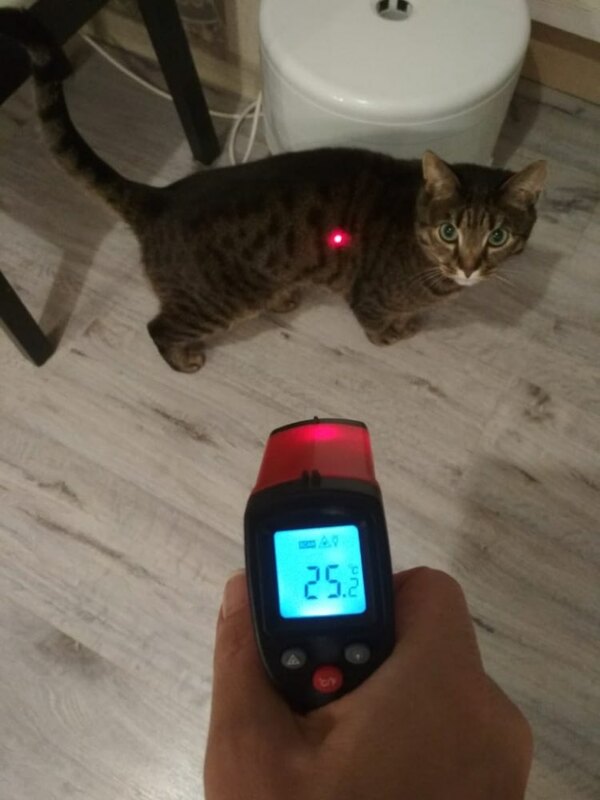 Adjustable emissivity. 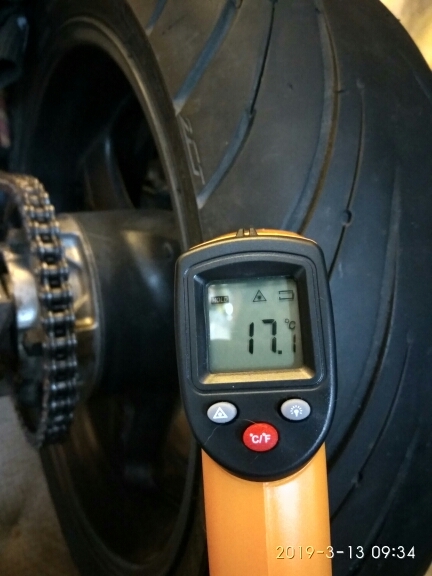 Adjusting the emissivity allows you to take more accurate measurements, especially when measuring shiny surfaces. The Device is FDA, FCC, and CE compliant. Power: 9V battery, NEDA 1604A or IEC 6LR61, or equivalent. Included.